Walter Elias ‘Walt Disney’ laid the foundations of a magical, optimistic and whimsical world full of imagination many decades ago that instantly won the audiences and the magic of his creation is still alive today. The American director, film producer, screenwriter, animator, voice actor, entertainer, philanthropist and a highly successful entrepreneur was born on 5th December 1901 in the Hermosa community of Chicago. His family moved to Marceline shortly after his birth where Walt spent most of his childhood. His early interest in art and drawing had him selling small sketches that used to do in his spare time. His activities always revolved around some kind of art work. He attended McKinley High School where he showed immense talent in drawing and photography. He also contributed his drawings to the school newspaper. To refine his art skills he joined the evening classes in the Academy of Arts. The Disney family moved to Kansas where Walt continued to flourish in his artistic talent. He also picked up a knack for performing and acting. In 1918 Walt joined the Red Cross and was sent to France for a year. He covered the ambulance that he drove with cartoons instead of stock camouflage. On his return Walt decided that he would pursue commercial art seriously and soon he was producing animated films for small businesses. At 21, he had started his company called ‘Laugh-O-Grams’ and the first animated film he began working on was called ‘The Alice Comedies’. The company went bankrupt before the film could be created however Walt was not one to give up. He packed his bags for Hollywood with a dream to achieve greatness. With the help of his brother Roy O. Disney, who was already in California, Walt managed to set up a shop. He got his very first order for ‘Alice in Cartoon land’ and from that there was no turning back. Walt was soon known amongst the elite of Hollywood, although he chose to lead a simple lifestyle. In 1928 Walt created one of his most legendary characters ‘Mickey Mouse’ who made his debut in world’s first sound cartoon in 1928 at the Colony Theater, New York. After the introduction of Technicolor to animated films, Disney held its patent for almost two years. In 1929, Walt created new friends for Mickey Mouse namely Minnie Mouse, Goofy, Pluto and Donald Duck. Walt’s journey to fame had started to get even better. He won his first Academy Award in 1932. 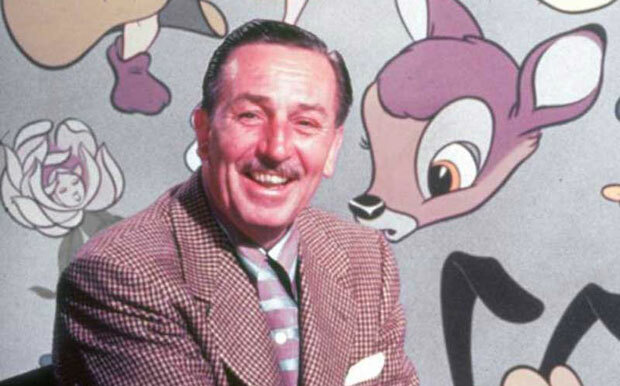 His first full length animated movie ‘Snow White and the Seven Dwarfs’ came out in December 1937 which was produced at the unimaginable cost of $1,499,000 amidst the Depression. In the next five years Walt Disney Studios released more full length features such as Pinocchio, Dumbo, Fantasia and Bambi. More animated features followed in the 50’s including Cinderella (1950), Alice in Wonderland (1951), Peter Pan (1953), Sleeping Beauty (1959) and 101 Dalmatians (1961). Walt was the first one to use TV for entertainment purposes and his shows Davy Crockett, Mickey Mouse Club and Zorro were immensely popular. Walt had always wanted to start a theme park where children could enjoy with their families, take fun rides and see their favorite Disney characters. This dream became a reality in 1955 with the opening of Disney Land Park that entertains worldwide tourists. Walt planned another Disney Land which he could not see as the maker of the magical world died on 15th December 1966 due to lung cancer. His brother Roy completed the Walt Disney World which opened in 1971.